New Website – Zero Results – Why? I set up a new website but after 2 months, I haven’t gotten any phone calls or emails. I hear this comment often from new website owners and I understand the frustration. With the excitement of getting a new website online, most people hope new customers will follow. But the reality is usually very humbling as the traffic is slow and the contacts received through a new website are ZERO. Why is this such a common problem and how can you start growing the popularity of your website and improve your results? If a client contacts me saying they are not getting any phone calls or emails through their website, my first assumption is that they are not getting much traffic to their site. The next step is to check their traffic statistics. What I usually find looks like the stats shown in the graphic to the right with an average of 10 visitors coming to the website each day. No one can expect great results from their website with only 10 visitors per day but this low amount of traffic is typical of most small business websites, and especially new sites with little popularity. You can read this article from HubPages that answers this basic question . The data in the article shows that most small businesses with 10 or fewer employees get less than 10 visitors per day to their website on average. So if you’re averaging 10 visitors a day, you’re not alone, but you can do better. 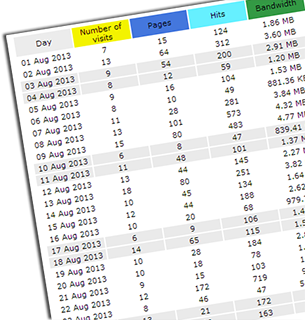 You’ll need to get more than 10 visitors a day to get any results from your website. You probably don’t need thousands of visitors every day (although it would be nice). 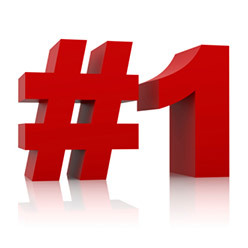 Most small businesses would see good results with just 100 visitors per day. So how do you boost your traffic numbers? To get more traffic to your site, you need to first understand where the traffic comes from. 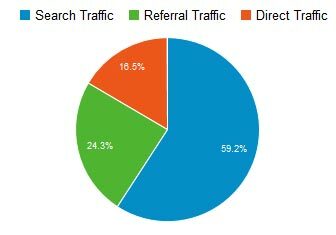 Here’s a chart of the sources of my recent website traffic. These numbers are typical for most websites. 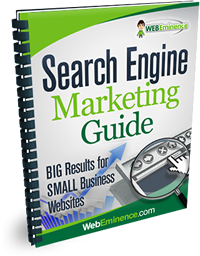 Search engine traffic usually accounts for the majority of visitors for most websites. But it’s also the most difficult type of traffic to get. Google and other search engines give priority to established websites with a solid reputation. So if your website is new, you will need to improve your “domain authority.” Domain authority is a measure of the trust attributed to your website domain from its age, popularity, and incoming links from other reputable websites. As your domain authority increases, you can expect higher search engine rankings and more traffic. 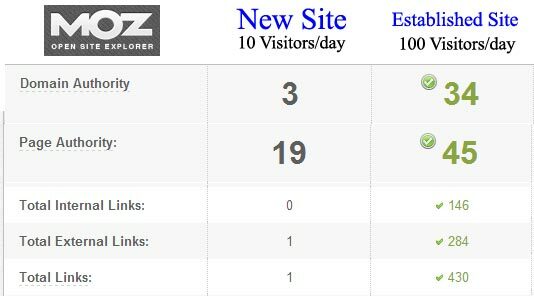 Look at the metrics below taken from OpenSiteExplorer.org for two different websites. The one on the left is a newer site with domain authority of 3 and few incoming links. A site like this would be your typical “10 visitors per day” site. The 2nd site gets about 100 visitors per day and has a domain authority of 34 and a lot more links. Growing your domain authority by getting links from other websites is a critical step to increase the traffic to your site. 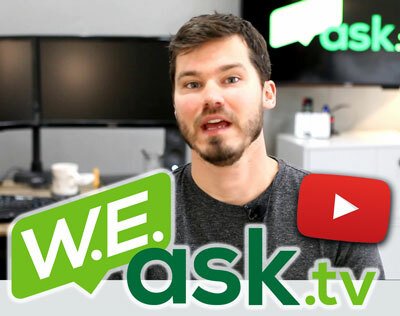 Now you’re probably wondering how to get more links to your website? That’s too massive of a topic to get into here but here are 101 ways to get you started. You can also read my Search Engine Marketing Guide for practical methods that I use to increase the links to my website. 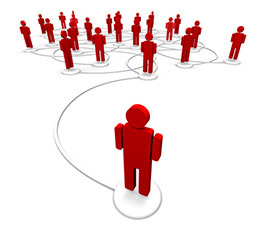 Referral traffic and search traffic are closely related because they both rely on incoming links from other websites. When a website links to your website, it will help your search engine rankings, but it will also result in direct referral traffic when people click the link to visit your website. Some links are better for referral traffic than they are for building your search rankings. But if you concentrate on promoting your website without worrying so much about search engine rankings, your search traffic AND referral traffic will grow – Guaranteed. Direct traffic usually comes from people typing in your URL directly into their browser without doing a search in Google. So for example, if someone opens their browser and types in WebEminence.com and presses enter, their visit will count as direct traffic in my site statistics. There are also other visits that count as direct traffic like people clicking links in emails or on private sites that aren’t trackable. Even though direct traffic is usually a low percentage of your total website traffic, it represents some of the highest quality traffic you will receive. So here are a few thoughts on increasing it. Include your website URL in email marketing or email signatures to get more exposure and traffic to your website. The reason the majority of websites online don’t get any substantial traffic is that they simply don’t promote their website. Imagine if a new movie was opening next Friday and the movie studio didn’t run any commercials, previews, or ads online. How many people would show up to the movie? Probably a few people who see the movie on the list at the theater would purchase tickets but it would be a lot less than if the movie studio had carried out the usual marketing blitz we are accustomed to seeing for movies. The same is true with websites. They must be promoted to be seen. Many people think that by just creating a website, it will get listed in search engines and the flood of visitors will begin. Sadly, this isn’t true. With so much competition and thousands of new sites coming online every day, search engines only show the most relevant and authoritative results. So start investing time and money in the three types of traffic above and results will surely follow. If you have more money than time, you may be able to outsource your promotion and search engine marketing. If this is the case for you, contact me. I don’t perform these services but I may be able to make a recommendation for you. Comment below and tell me what small steps you plan to take to promote your site this week.